You may laugh at how silly the above "fossils" look but every year, these fakes have fooled, and continue to fool thousands of buyers around the world. 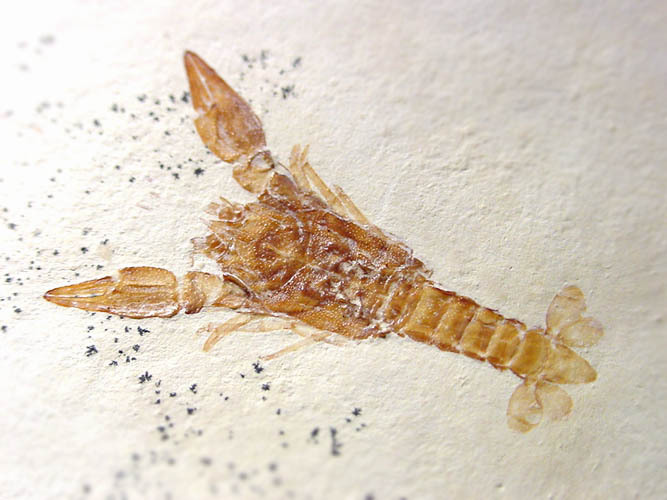 Fake or heavily restored, painted crustacean fossils from Lebanon and Germany are often seen on the market. 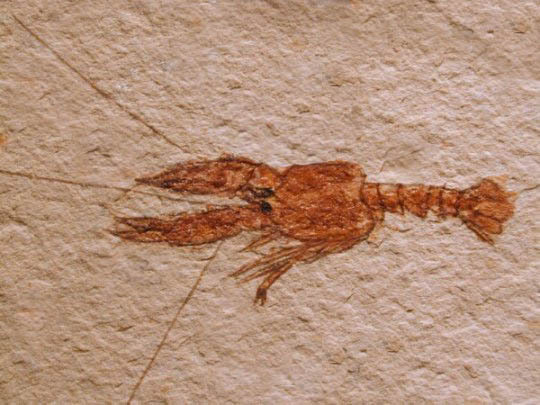 They are either completely fake as in the photos above, or a mostly painted fossil that incorporates a partial trace of real fossil on the slab. 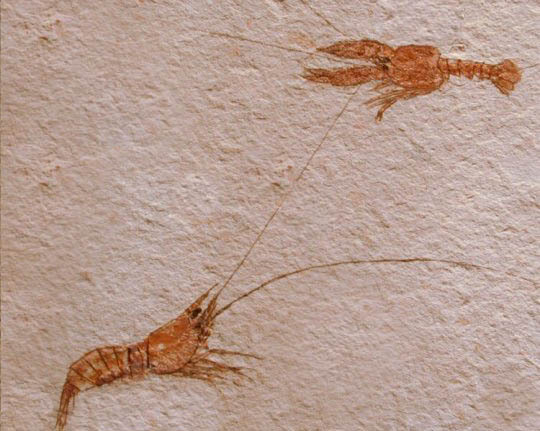 For instance, many common shrimp fossils are nothing more than a partial carapace (shell) of the body, on the rock surface. Fakers will use this as the basis to paint a "complete" shrimp with all appendages and antennae. Inspection with the naked eye or low magnification is often all that is needed to spot the lack of real anatomy. The above images show two "fossils" that are nothing more than pretty painted pictures of fossils. The rock plate does not possess ANY fossil and is a blank rock sheet. It is a 100% fake specimen. The price of these "masterpieces" usually sell for around $20 to $75. Cheap? You can get nicer handcrafts at a local festival for less than that. Compare it to the ultra-rare and completely authentic specimen below. The difference is obvious but you would be surprised to know how many truckloads of this painted fake junk has been sold as "genuine" to eager buyers, for DECADES.